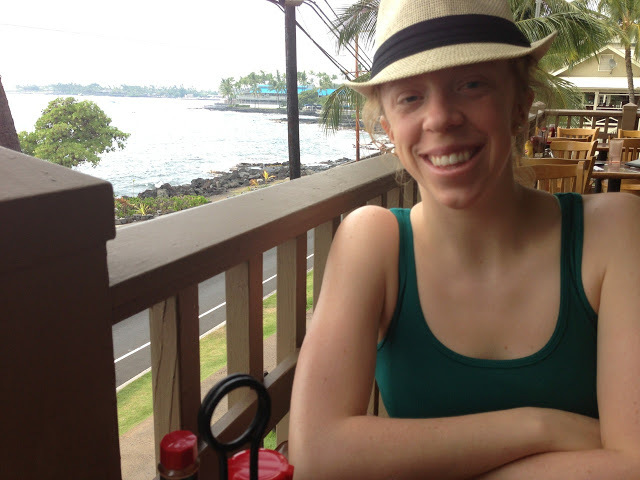 When I travel to communities and villages in Alaska such as Kotzebue (as was the case this past week), Dillingham, Wrangell, Noatak, Kasigluk, Bethel, etc, the options for a healthy breakfast/lunch/dinner can be slim (especially because "continental breakfast" means pastries, muffins, pastries, and muffins). I usually bring my own breakfast items so I can be confident my day will start off with a punch. After a few items have been taken away from me in airport security, I've nailed down a typical (and safe) travel bag of food items. Using the hot water from either the "continental" breakfast hot water pot or the coffee pot in my hotel room, the staple of my breakfast is usually rolled oats. 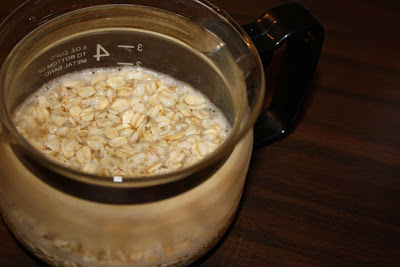 I pour about 1/2 c oats into the coffee pot from my hotel room (nice and sturdy) and then add 1 c very hot water. 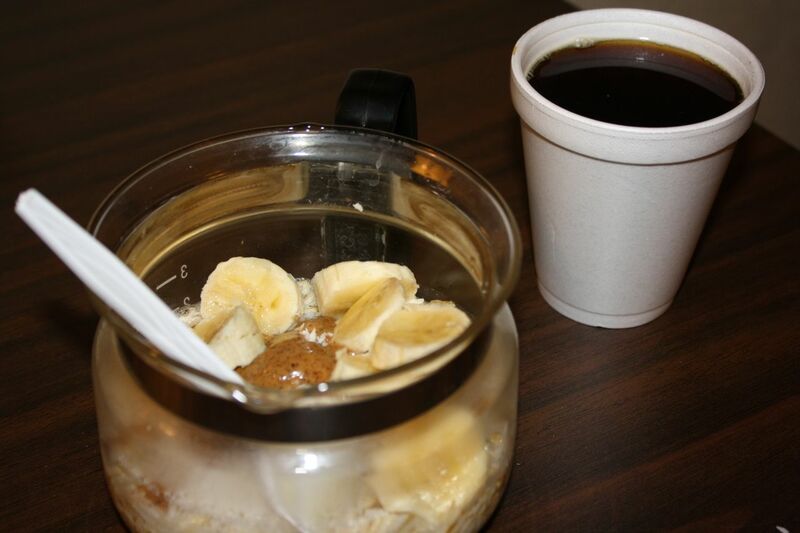 If a coffee pot is unavailable, a couple plastic or Styrofoam cups will do justice. 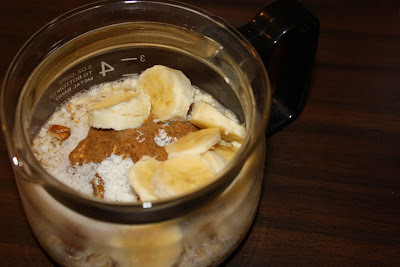 Toppings include walnuts, banana, coconut and Justin's Nut Butter snack packs. 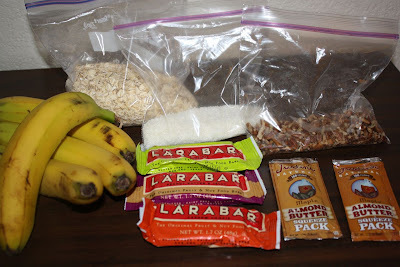 These snack packs are great for traveling because they slide right through airport security (I've had my jar of almond butter taken away from me before...courtesy Juneau airport TSA). At this point my taste buds are usually going crazy. With a cup of coffee, this breakfast keeps me full for about four - five hours, perfect when lunch can be questionable.